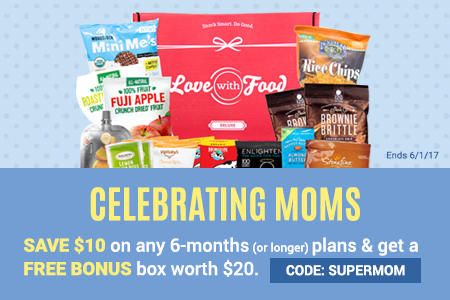 Coupon: Save 25% off of the first box of your GLUTEN-FREE BOX or DELUXE BOX Subscription. No code needed. 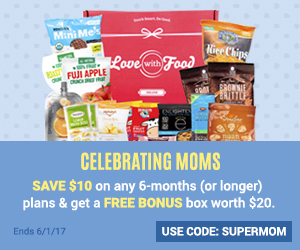 Love With Food helps you discover new all-natural or organic snacks you will love. 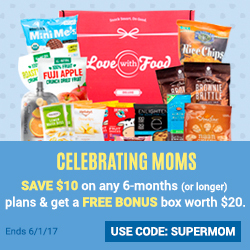 Each month, Love With Food members receive a curated box of unique, hard-to-find, snacks delivered to their doors. Subscription memberships start as low as $10/month, and make a great gift too. How do you like Love With Food? What do you think of this deal? ← Glossy Box: This month’s beauty treats revealed!